A premier construction staffing agency in Phoenix, Tradesmen International has a reputation for excellence in Arizona. Our local craftsmen have worked on a variety of high-profile projects in and around the Phoenix area, including unique health facilities, innovative technology plants and more. 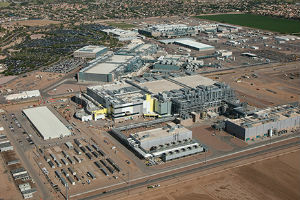 Intel has invested more than $20 billion in Arizona manufacturing since 1996—including an investment of more than $7 billion earlier this year to complete what is expected to be the most advanced semiconductor factory in the world. 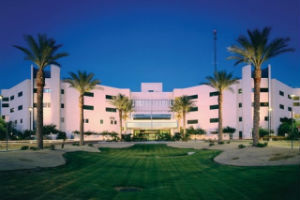 One of the largest facilities in Arizona, Banner Desert Medical Center adheres to a high-tech, high-touch philosophy of patient care that’s helped make them the hospital of choice for the surrounding area for almost 40 years. 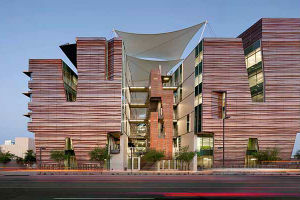 The new Health Sciences Innovation Building on the UA Health Sciences campus will act as a unique facilitator for interactions between multidisciplinary teams of health students and professionals in medicine, nursing, pharmacy and public health. 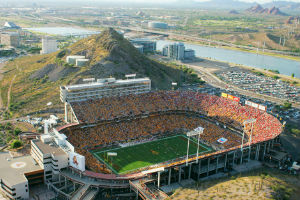 Home to the Pac-10 champion Arizona State Sun Devils football team, Sun Devil Stadium seats 75,000 people, was the original home of the Tostitos Fiesta Bowl and played host to the 1996 NFL Super Bowl. If you’re looking for local construction staffing in the Phoenix area, Tradesmen International has the solution you need. To take advantage of our proven pool of skilled craftsmen or learn more about Total Labor Support, give our Phoenix office a call at 800-508-2530.